Easter is right around the corner which means an onslaught of sugar-filled, teeth destroying candy is heading for a mouth near you. Children will have access to jelly beans, chocolate bunnies and eggs galore this Easter, and it can take a toll on your child’s teeth. But you can change that by changing the candies you put in your child’s Easter basket. 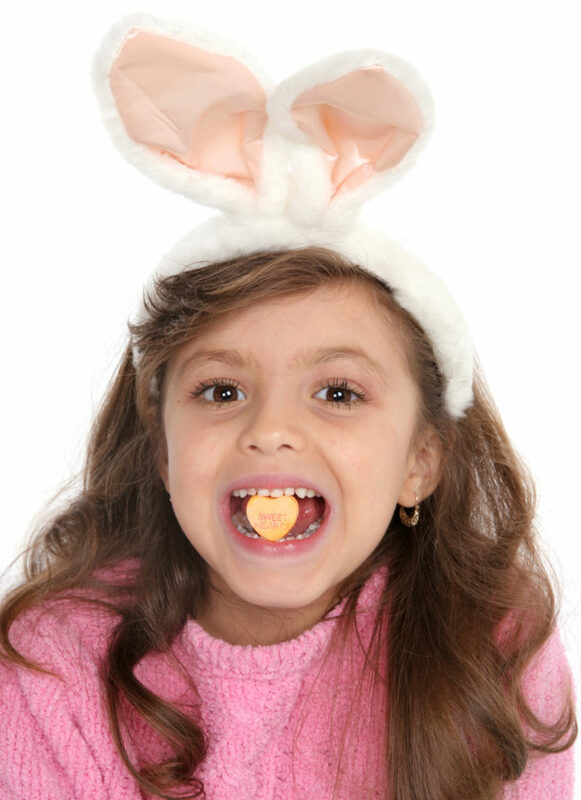 Here are some ideas to help you navigate a teeth-friendlier Easter. First and foremost, holidays where candy is included in the festivities wouldn’t be the same without indulging in a piece or two of your favorites, so there’s nothing wrong with letting your child have a piece here and there. Colgate suggests letting your children have a couple of pieces to start and then ration the rest of the candy throughout the week. Peeps, the marshmallow treat, and Jelly Beans are considered bad for your teeth for the sugar content alone, being made mostly of pure sugar. But these candies are sticky as well, which means the candies can get stuck on teeth and stay there. The longer our teeth are exposed to sugar the worse it is. Sugar turns into acid inside our mouths, so the longer sugar-candies stay on our teeth, as in the case of sticky candies, the longer our teeth are exposed to acid. Jelly Beans can potentially be super bad for your teeth not only because they’re filled with sugar but also because they’re sticky. Sticky candy can loosen dental work (fillings), and get stuck inside the nooks and crannies of your teeth, trapping sugar inside those hard to reach spaces. It’s not Easter till you find your first Easter egg or eat your first chocolate bunny. 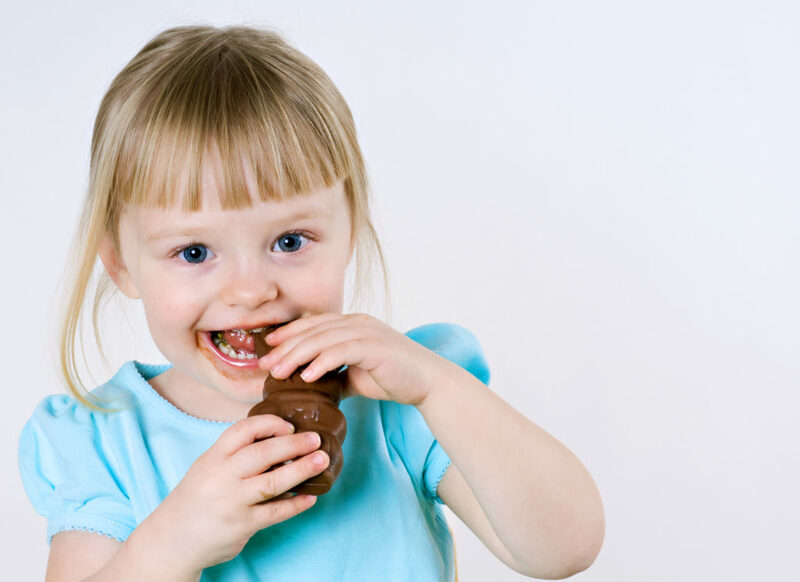 Filled chocolate Easter eggs or bunnies can be the trojan horse for sugary AND sticky candy if you’re not careful. Whether the filling is made of marshmallow or another filling, the stickier the filling the higher the chances of sugar getting stuck on your teeth and staying there, longer than you want. Peeps and various jelly beans have sugar-free versions, but that’s not the cure-all. These candies are still sticky thus you are still at risk for dental damage. You can try to substitute the sticky candies for hard, sugar-free candies instead, as long as you remember not to bite down hard on them, which can also damage teeth. You can go sugar-free across the board: Marshmallow, Jelly Beans and Filled Easter Chocolates. A staple of any Easter basket is the chocolate covered bunny. You can find sugar-free chocolate covered bunnies AND you can go one step further by skipping the filling and choosing a hollow bunny. Hollow bunnies deliver less sugar than a solid bunny or a candy filled bunny. It also takes the possible sticky situation out of the equation. As long as your Easter basket carries fewer risks for your children’s oral health, you get an A for effort. The only rule to stick to is always brush your teeth after eating any candy to minimize the damage it can do to your teeth.